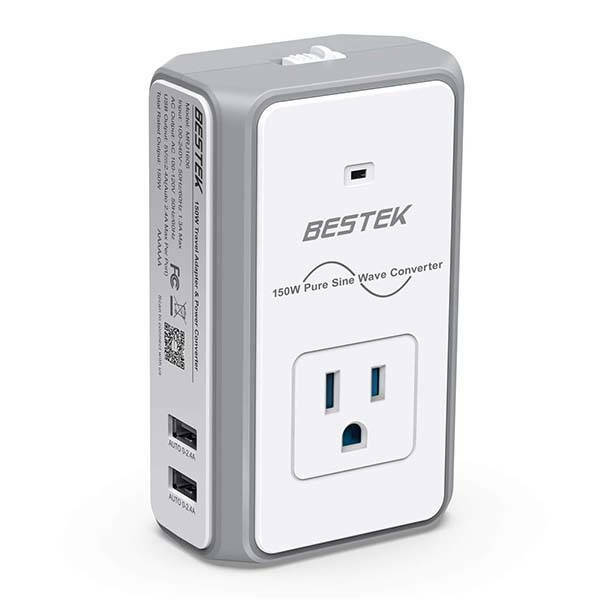 Bestek travel adapter converter is designed to power your devices in almost all countries around the world, and two USB ports make it double as a USB wall charger. Like the idea? Let’s keep checking. 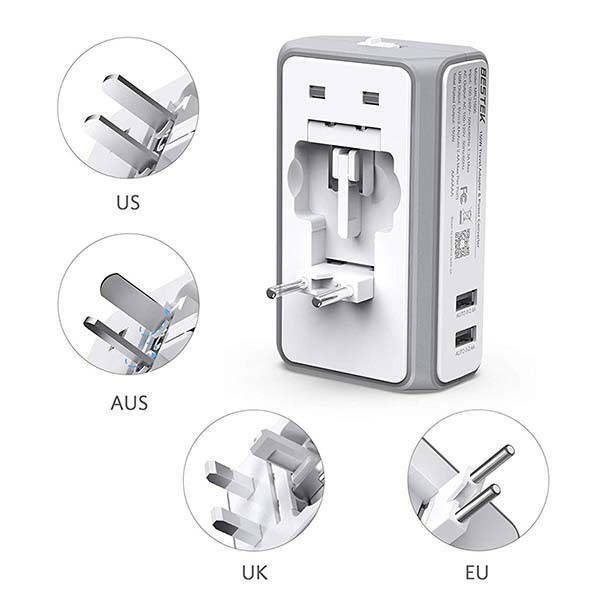 The all-in-one foldable plug ensures it works with any outlets in more than 150 countries all over the world, and integrated voltage converter converts all countries’ voltage to 110V for secure and stable output. 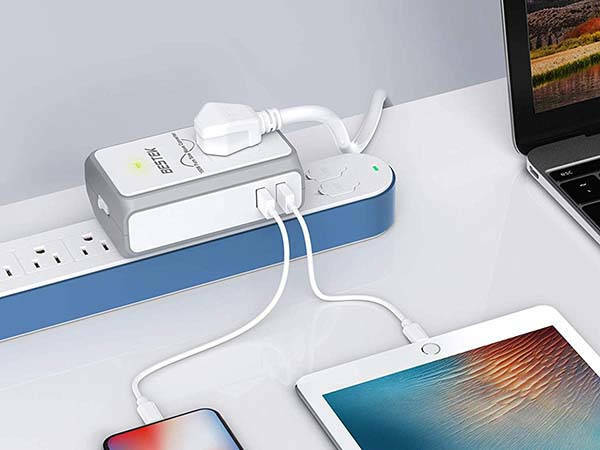 Furthermore, a front-facing 3-prong AC outlet lets you easily charge or use larger devices in overseas countries, while two USB ports with Smart IC allow it to serve as a USB wall charger that intelligently detects connected devices and provides optimal output for efficient charging. Moreover, the travel adapter comes equipped with a built-in fuse, and integrated protection system prevents your devices from overheating, under and over voltage charging, short circuiting, overloads, and overcharging. The travel adapter converter is priced at $34.99 USD. If you’re interested, jump to the product page for its more details.